Houston, TX: Prosperity Bank is upgrading from EZswitch® 2012 to SWITCHWARE® G4. Their new system will include installation of SWITCHWARE 3.12.1 with Real-Time Card Management, and EMV issuing and acquiring functionality. It will be deployed as a virtual WMware implementation. 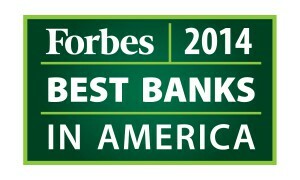 Prosperity Bancshares Inc.®, named America’s Best Bank for 2014 by Forbes, is a $21 billion regional financial holding company, formed in 1983. Seeking to develop broad customer relationships based on service and convenience, Prosperity provides a complete line of banking services from 245 branch locations as well as 24/7 customer access to its Internet Banking facility . The banks selection of SWITCHWARE® G4 was made after identifying it as the most cost effective and reliable solution for its long planned migration to an EMV compliant payment processing platform. For nearly a decade, CSFi has offered a proven integrated solution for EMV acquiring, issuing, and issuer-processing support with SWITCHWARE®. Our solution maintains the integrity of the payment transaction and takes full advantage of how EMV technology provides a secure way to handle card creation and cardholder authentication. Once deployed, liability can be shifted away to those who cannot support EMV chip cards, which means EMV compliant issuers and acquirers are absolved of any loss. Click for or more detailed information on how CSFi’s SWITCHWARE® and EMV Card Technology can pave the way for your successful migration to an EMV compliant payments platform.